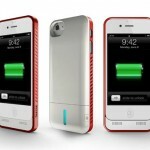 While battery cases for the iPhone 5 are beginning to trickle out to power hungry users of the handset, PowerSkin is taking an interesting approach with its new PoP’n. 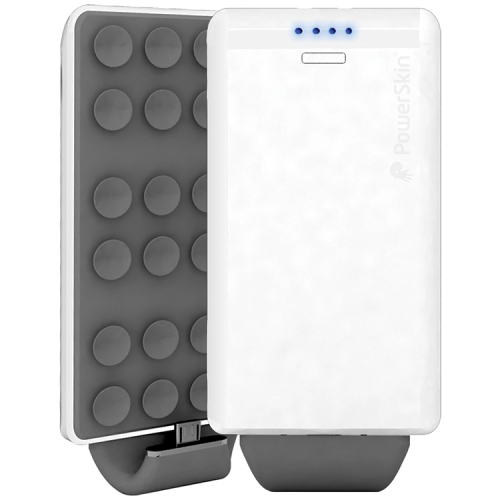 Instead of being a totally separate case, the 2,000 mAh battery uses small suction cups to attach directly to a mobile device or case, including the iPhone 5. 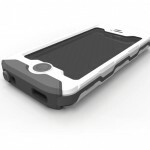 With a gray rubber connector tip that can flex up to 90 degrees, the PoP’n can accommodate even bulky iPhone cases. An LED light strip on the back indicates the amount of power left in the battery. With a slim 10mm design, the battery weighs only 86 grams. Currently available in black or white, the Lightning-compatible PoP’n is $79.99, and a micro-USB version is $69.99. Along with a red and white edition, PowerSkin is promising a PoP’n with a 30-pin dock connector soon. You can order the battery now directly through the company’s site. I do think the PoP’n looks like an interesting choice. I like that instead of having to rely on a battery case, the device can be used whenever you need extra power and put away when you don’t. If you’re curious about purchasing a normal battery case for the iPhone 5, Mophie’s JuicePack ships next week and is available for $79.95.